Today I'm going to show some examples of a trend that is going around the Modern Quilting community that has become of interest to me and hopefully will be to you as well. 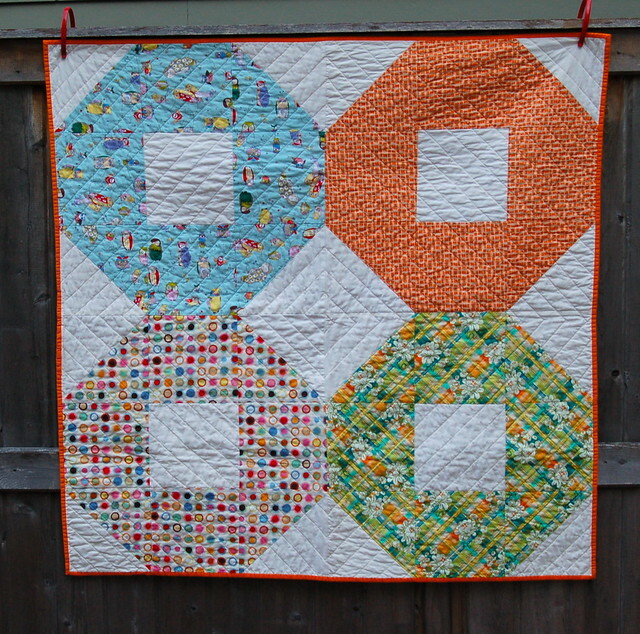 That trend is Big Block Quilts. 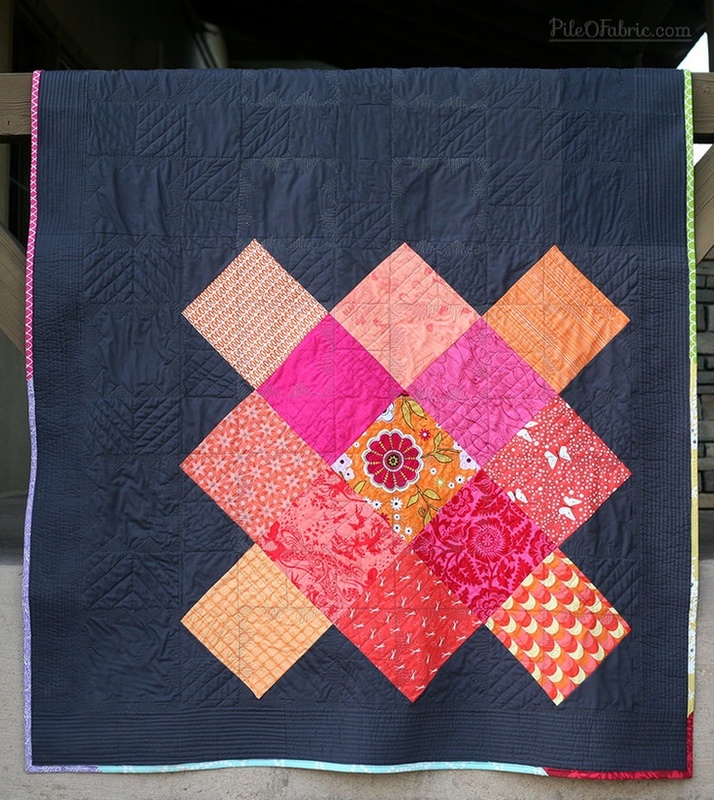 What I mean by Big Block Quilts is a quilt that is actually just a super enlarged version of one block. I love these quilts because they are usually super quick to make and most of the time make a great statement by highlighting the design and simplicity of a single block. 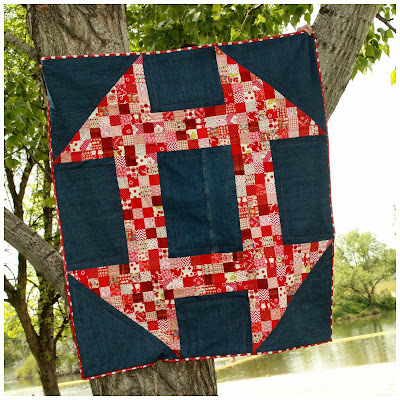 I think these are great ways to turn a classic block into a modern quilt that makes a bold statement. I think I will be trying more of these in the future! 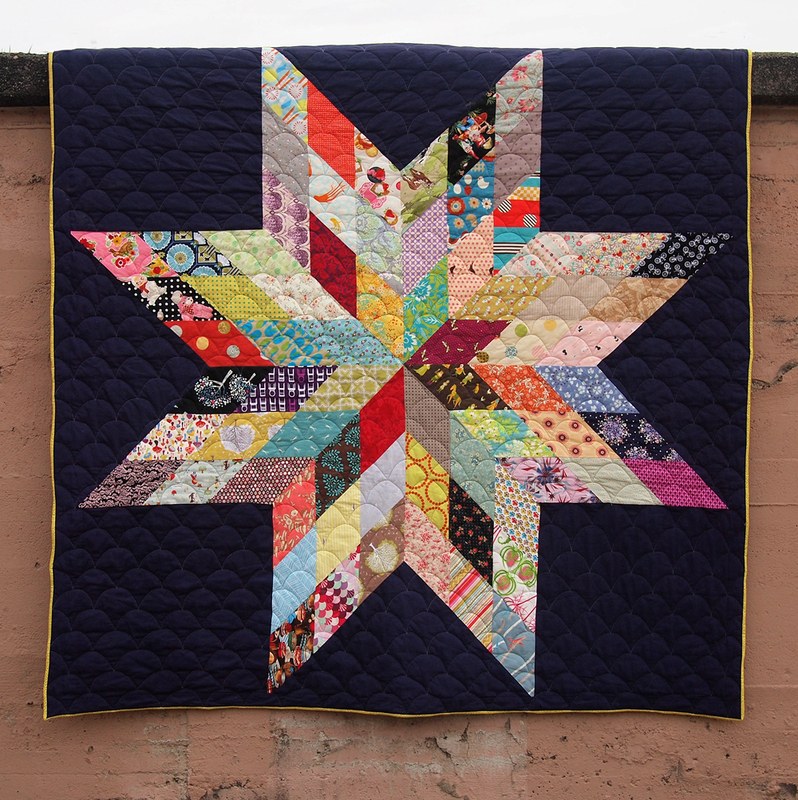 Do any of you have any favorite Big Block Quilts? 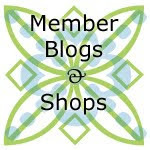 Welcome to the new Saturday Series, show us your space! I'll start things off by showing my sewing space. It's in the corner of our basement. It's nothing fancy - an old dining room table, a regular ironing board, plus a filing cabinet and a couple of plastic boxes for storage. I added a desk lamp from Ikea for more light - the overhead can lights are not nearly bright enough. 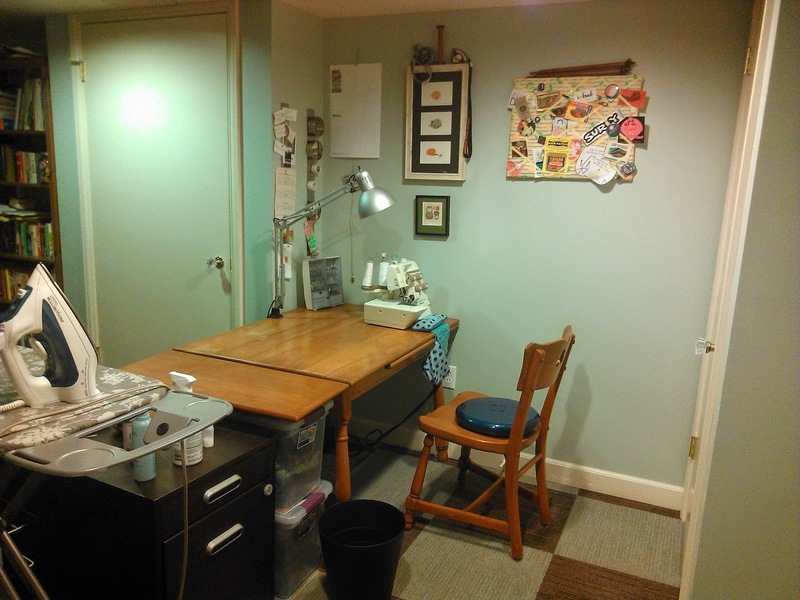 My sewing machine is in for a tune-up, which is why the table looks so empty (and the space looks so clean!). I took a (forced) break from sewing this weekend to clean up my workspace. It's not usually this neat. Under ordinary circumstances, there are piles of works-in-progress, spools of thread and patterns cluttering up the table. I'm hoping I can maintain this system (for a while, at least) after I get my machine back next week!